Over the last decade we have delivered training, assessing and or consultancy to over 60 towage and marine companies in many countries around the world. The SeaWays Tugmaster Training Program© has successfully trained and accredited over 1100 ASD/ATD/CTS/VSP/RotorTug tug & vessel masters and over 60 pilot boat coxswains. 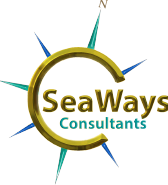 The SeaWays Training Programs are internationally renowned as not only do they achieve industry Best Practise but do so in considerably less time than the industry norm. •	Uniquely our Training Program proves conclusively Compliance & Competency to all recognised industry standards. We have facilitated workshops for “The Effective Use of Omni-Directional Tugs” to over 500 marine pilots in numerous countries. 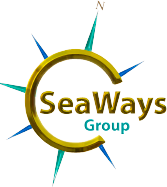 SeaWays has been involved as consultants and trainers for the establishment of new towage operations in numerous ports in Australia and overseas. We have formal Agreement with Transas to develop simulation software and have established four simulation training centres strategically located around the world. The competency based SeaWays Tugmasters Training Program© was originally modelled on how training is delivered to RAAF fighter jet pilots. It starts with the very basics and builds progressively to the desired competency standard required to operate a tug solo. Each step is explained and demonstrated by the SeaWays’ training master before the trainee takes control to practise and to master the particular step in the training process. As far as we are aware the SeaWays Tugmasters Training Program© is the only tugmaster training programme having this approach. The formalised and staged approach through progressively more difficult exercises ensures the trainee (and the tug) are never put into situations they have not developed the skills to handle. At the completion of training a standard non-subjective Competency Assessment is undertaken to assess the skills of the trainee. This involves undertaking a series of manoeuvres we refer to as the “Competency Circuit”.